but she is not kind. Years ago when I raising little children, I spent very little time writing but a lot of time reading books about writing. One by novelist Rita Mae Brown made a particular impression. As I remember, Brown asserted that you can have children or you can have a writing career but not both. A writer needs to be selfish, focused and dedicated only to her work. Motherhood wasn’t compatible with an artistic career. What I got out of that book, besides the inevitable overdue fine at the library, was that either you could be a very good writer or a very good person. This idea was discouraging, to say the least, but also a useful excuse for not writing. I’d rather be a good person, a good mother than a good writer. My exposure to writers up to that point reinforced this dichotomy. For Pete’s sake I had been through an MFA program. MFA programs, for those who didn’t watch the most recent episode of Girls, tend to bring out the worst in everyone. At workshop tables I sat elbow to elbow with people who were competitive, needy, emotionally unstable, snarky, smarmy and sometimes downright nasty. With a few notable exceptions, they were people I may have admired but didn’t want to hang around. In her poem “In Mind,” Denise Levertov sets up similar opposing forces: imagination and kindness seem to be mutually exclusive. The two sides are represented by three women. The “woman /of innocence” is a single being, a fully integrated person whose attention to hygiene alone would preclude her from being a writer. Levertov describes her with details that highlight her less-than-riveting personality. Her hair—light brown—is neither dark nor light; she’s dressed simply in a “utopian smock” like some vacant-headed worker from a collective or commune or organic apple farm; she wears no jewelry or presumably makeup. Dependable. Sweet. Angelic but dull. The second persona, on the other hand, is bewitching and witch-like. She’s not even one person but two, and made up of contradictions: both old and young, bejeweled and in rags, interesting but not nice. I imagine her to be the opposite of the woman of innocence in every way: her hair dark, curly and unwashed, her air experienced. I chose to read the poem in reference to writers, but “In Mind” can refer to any artistic person, anyone whose imagination is her stock-in-trade, anyone who feels pulled this way by art and that way by the people in her life, anyone who feels her dark creative leanings at odds with civilized society and her kinder nature. I left the poem in the writing section of the library. Just as the coast was clear and I was about to tape the poem to some writing guides and take the picture, a young woman plopped herself on a library stool beside me. I didn’t want to wait for her to leave, so I explained what I was doing and asked if she’d be in the picture. She agreed as if my request was perfectly normal. 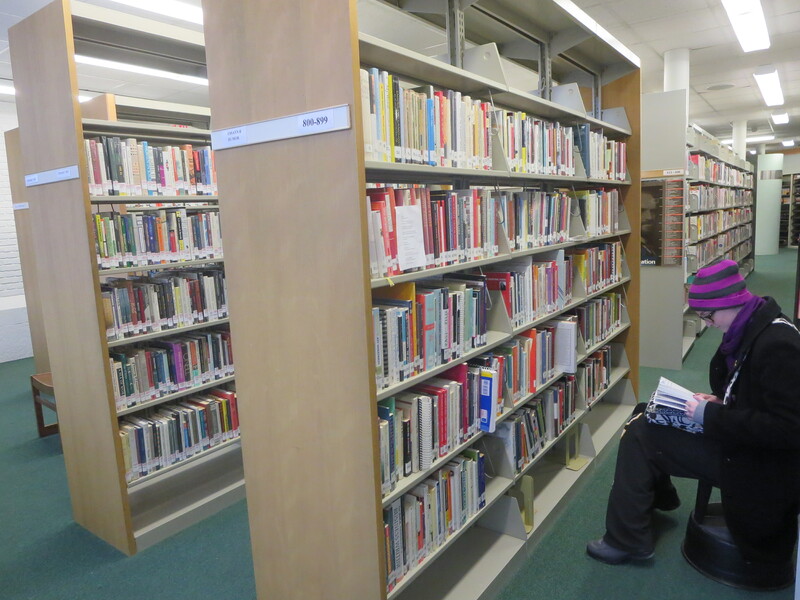 Library Girl, if you ever read this, thank you for your openness to the abnormal. 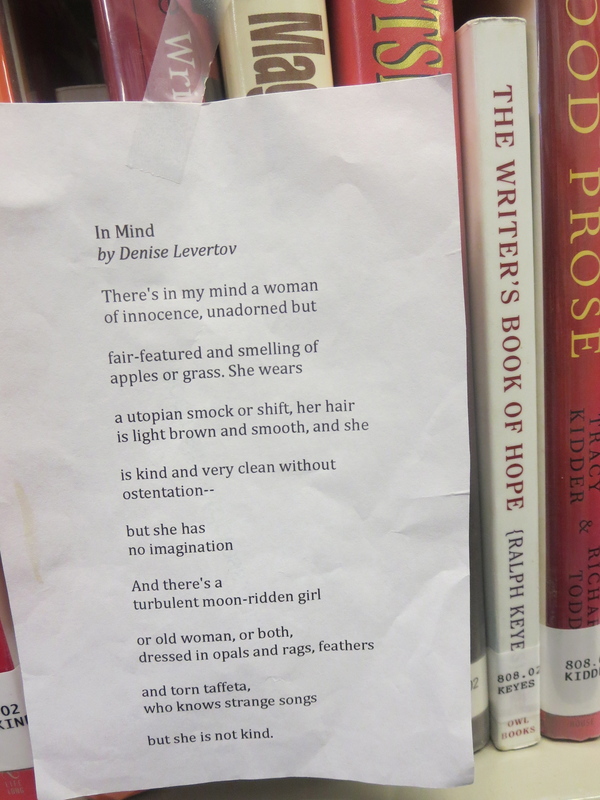 Here’s a short bio of Levertov from a past post. 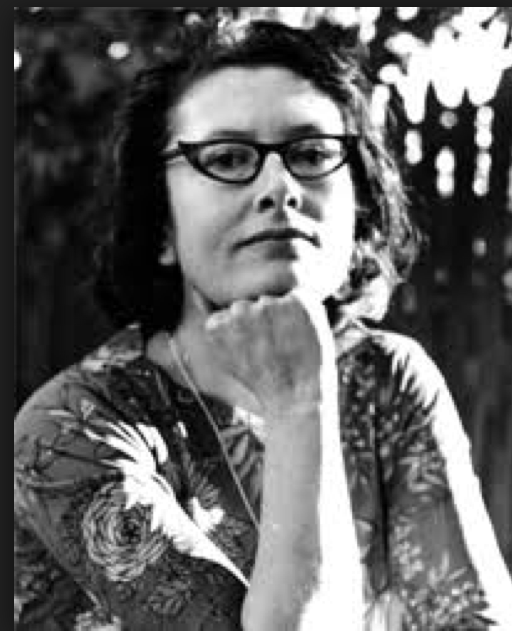 Denise Levertov was born in a suburb of London in 1923 to politically active parents. Her mother was Welsh and her father was from a Russian Hassidic Jewish family. Levertov was homeschooled and she began writing early. From age five she had a strong sense of her destiny to be an artist, and when she was 12 she sent T.S. Eliot some of her poems. He responded with two pages of encouragement and advice. During the London Blitz, she served as a civilian nurse. She married an American writer and eventually became an American citizen. She was poetry editor of The Nation and Mother Jones and taught at Stanford, among other universities. Later in life she converted to Catholicism and became a political poet, speaking out against Vietnam War, nuclear arms, the U.S. involvement in El Salvador, and the Gulf War. Levertov died in 1997 at age 75. In light of the poem and my earlier musings, it seems important to add that Levertov had a son, Nikolai. From whom she was sometimes estranged. And then reconciled with on her deathbed. And that she is often described as “complicated” (read “difficult”). For those truly interested, link here for a good summary of two recent biographies on Levertov. In spite of the name on the window, this cafe makes me sad. Laptop and thesaurus in hand, I had stopped by Jolly’s in northern Michigan the other day and found the door locked, the tables gone, and a sign on the door saying thanks for three great years. 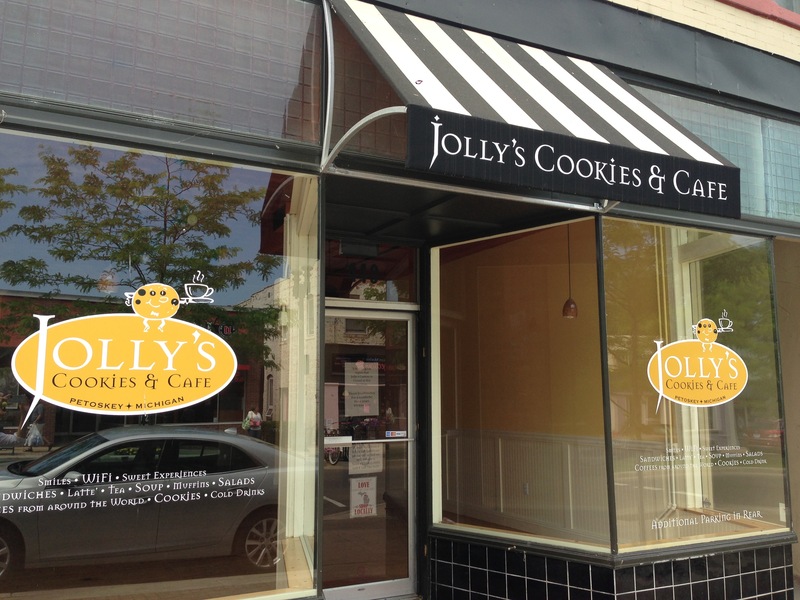 Jolly’s Cafe is in Petoskey, Hemingway’s old stomping grounds. He used to write in a bar one street over, and who knows, he may well have spent time in whatever business used to be here too. The building is certainly old enough. It’s charming, with high ceilings, creaky wood floors, and great light. I wrote here most days last summer, and planned to do the same this year. 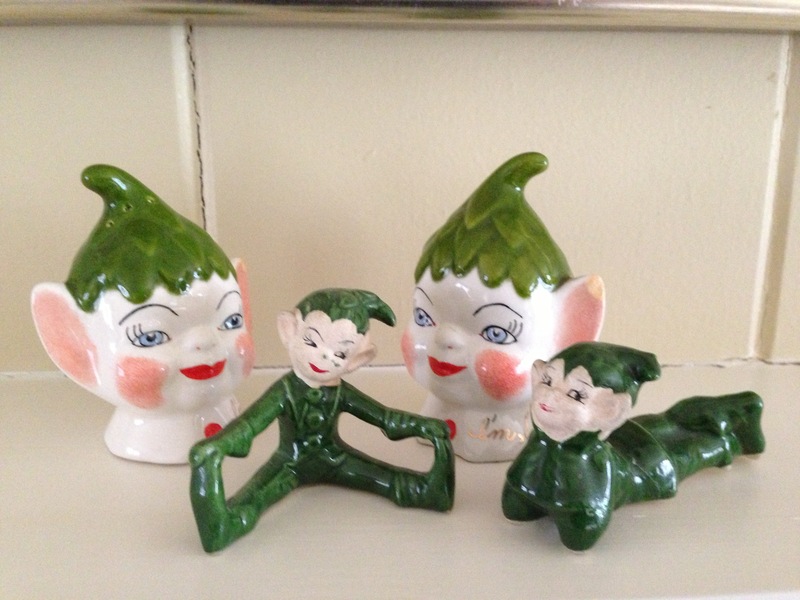 I’ll keep looking for the right writing spot, but in the meantime, thought I’d mention that my Poem Elf postings will be sporadic in July and August as I am working on some other things. I do have some poems and pictures in the hopper though, and should have something up next week. the truth from getting out. we gaze across breakfast and pretend. that we’re no ore than water with a twist. that makes sense to me,” and move away. Clearly there’s something somewhere that I’ve missed. and smiled in a frozen curve that burned to be kissed. If in a parallel and cuckoo universe there were a Poem Elf Academy and I were a trainee, I would have failed my latest mission. The target was my husband, the objective to wish him a happy 26th anniversary. 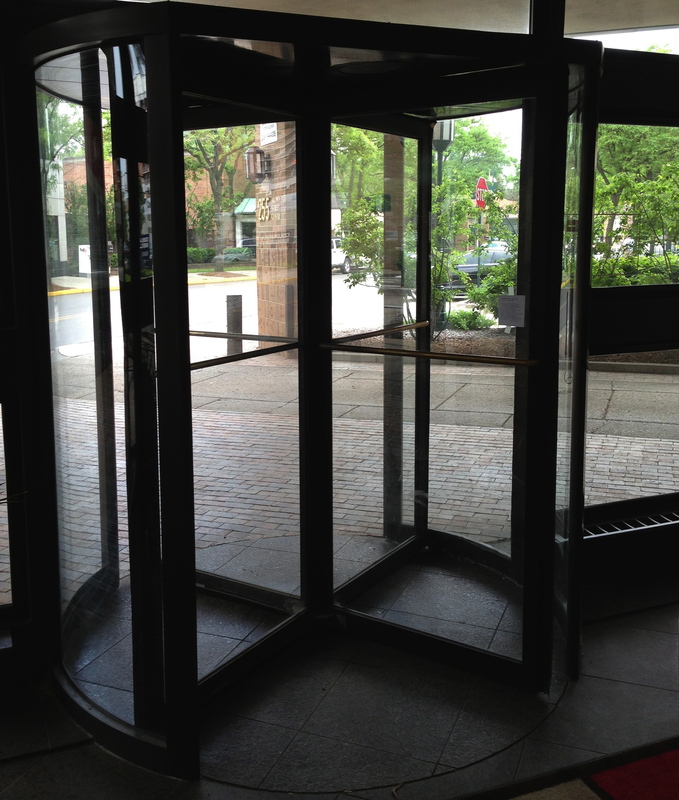 I left “Love Poem With Toast” on the revolving door of his office building but found out later he always exits through the back. 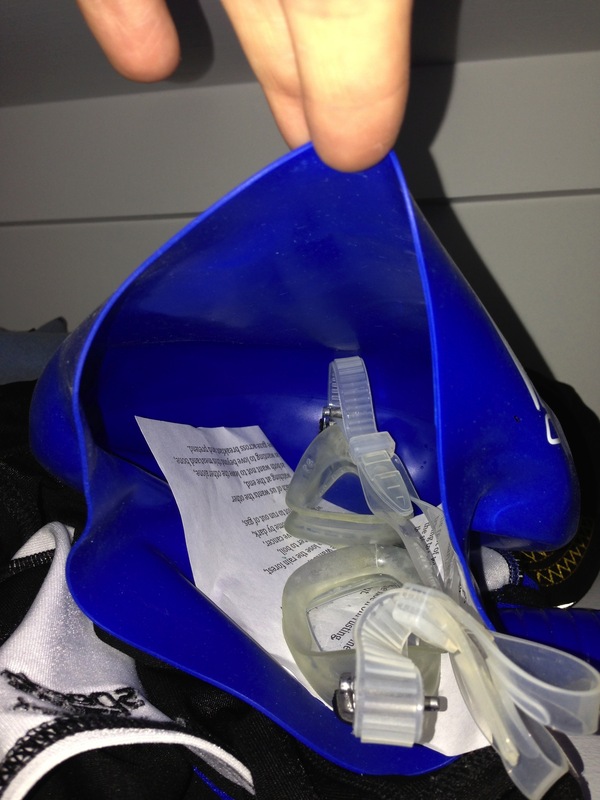 Then, because we swim together Thursday nights, which was the night of our anniversary, I hid “Something That Was Meant to Be a Sonnet” in his bathing cap but I couldn’t get my hands on his daggone cap until after we swam. He didn’t see either poem until this moment, as he reads this post. Hello, my dear, I’ll try to not say anything more personal than the fact that you swim on Thursday nights. My father, who married the most wonderful and fertile woman in all of Denver, liked to give his eleven children advice on choosing a mate. “Choose a woman with child-bearing hips,” he told my brothers. Dubious advice, given that the width of a woman’s hips are no guarantee of fertility or ease of delivery, and my mother has always been slender. Much better advice was his admonition to marry someone with a good heart. 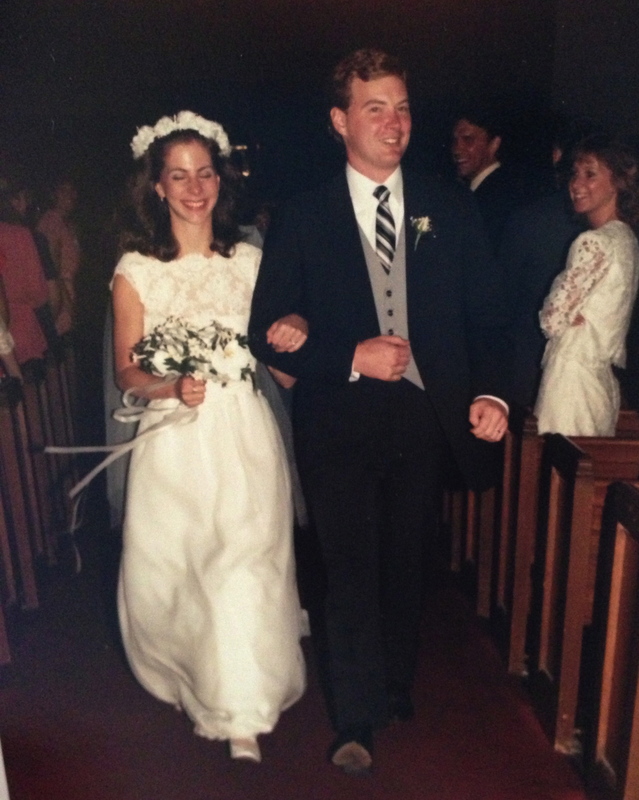 Thirty-three years ago, if you had asked me why I was dating my husband, “red hair” would have ranked much higher than “kind heart,” and yet here I am today, grateful that in this instance at least I listened to my dad. 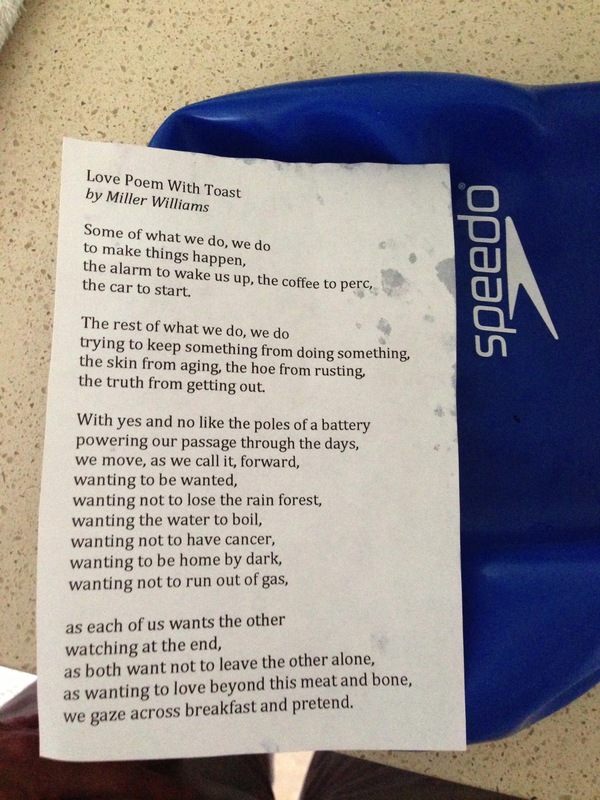 The first poem, “Love Poem With Toast,” meanders around, musing over ideas about wanting and not wanting. It doesn’t seem to have anything to do with love or toast, until the end (pardon the pun) when we see the couple’s dilemma: who should die first, and who is best left alone when the other goes. My husband and I often have this conversation in jest—a lot of couples do–but what’s underneath is the soulful and profound desire Miller states so simply: wanting to love beyond this meat and bone. 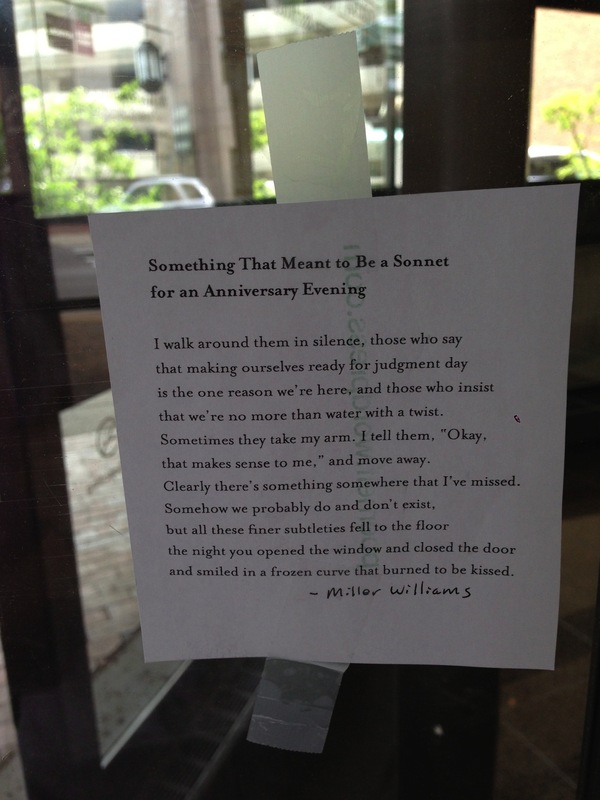 The second poem, “Something That Meant to Be a Sonnet,” gives me more reason to like Williams. I like how he reacts to people with strong opinions. “Okay, that makes sense to me,” he says kindly, neither agreeing nor disagreeing, knowing that people with agendas will not be convinced to change their minds. I wish I could do that instead of boiling inside with the urge to pontificate, or worse, actually pontificating. What holds him back besides his good nature is love. Once the image of his beloved wife comes to mind, nothing else matters, least of all writing three more lines to complete his sonnet. Miller Williams was born in Hoxie, Arkansas in 1930. His father was a Methodist minister, and the family often moved around small towns in Arkansas. Although he loved poetry and enrolled in college to study it, he was told he had shown no verbal aptitude in his entrance exam and was urged to study science. He got his bachelor’s degree in biology and his masters in zoology. Later he taught biology at a small college in Georgia, where he met and befriended Flannery O’Connor who lived nearby. There’s a great story about how O’Connor wrote to the English department at Louisiana State University and told them that the poet they wanted to hire at present was teaching biology at Wesleyan College. Williams sent them some of his work and got the job. He taught at various universities in his long career, eventually coming back to teach at the University of Arkansas. Williams is father to the great singer-songwriter Lucinda Williams, and was mentor to her ex-boyfriend and poet Frank Stanford. Williams gave the inaugural poem at fellow-Arkansian Bill Clinton’s 1997 inauguration, which you can watch here. 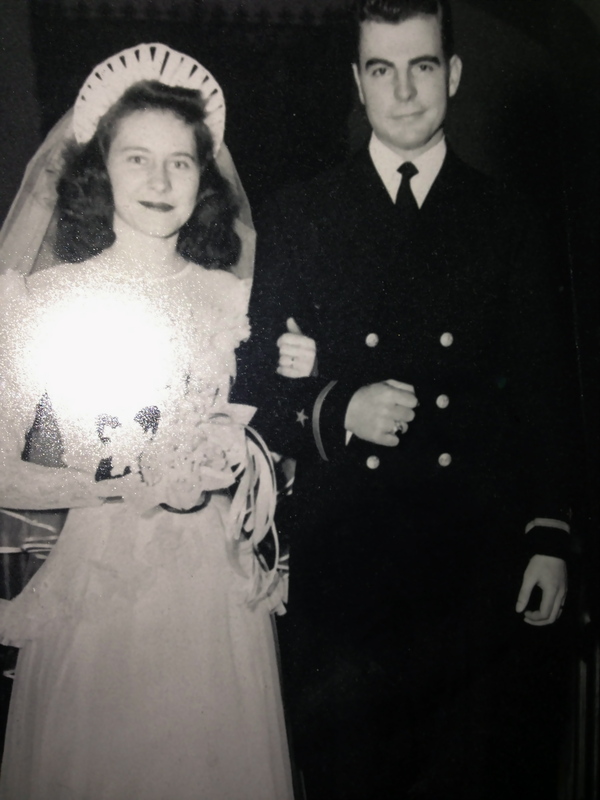 I was stepping out the door into a thunderstorm with a shoebox of poems when my husband asked where I was going. “An errand for my blog,” I said. Usually I don’t mind being called a little crazy. It puts me in the good company of all the kooks and eccentrics I admire and enjoy. Years ago I heard Irish writer Edna O’Brien explain herself this way: “I’m not what you would call the sanest woman in the universe. In fact I might have a little extra insanity.” She wasn’t joking in the least. Sometimes I wonder why I do what I do. Why do I go out in the rain to a coffee shop to set up a display of give-away poems that will be moved by the management to a back corner where hardly anyone sees it? Why do I slink around public parks or libraries waiting for people to leave so I can tape a poem to a bike rack or bench and take a picture? Why do I go back to check if the poem is still there? 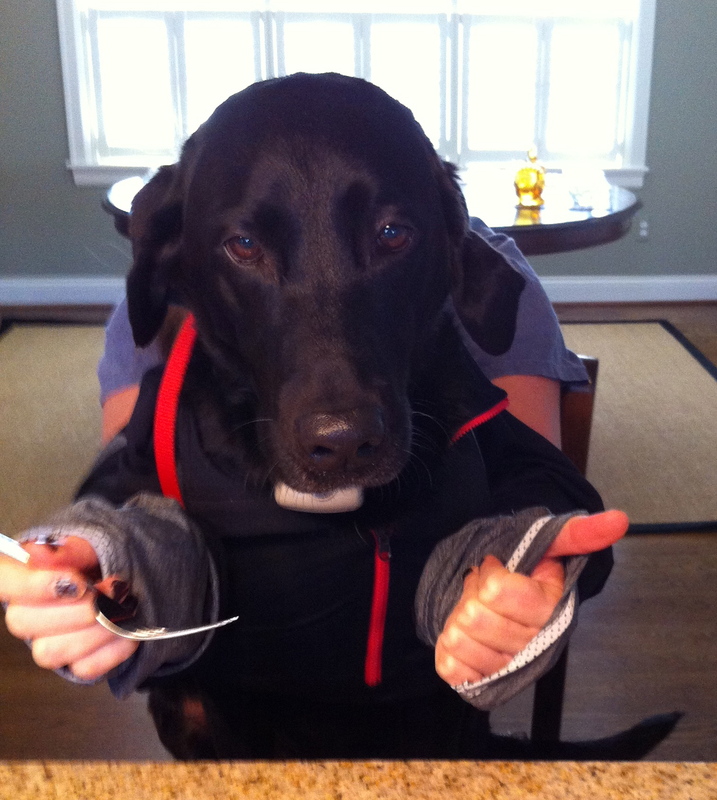 Why am I writing this post when I could draw in hundreds more viewers with pictures of my dog? Maybe National Poetry Month has brought on this crisis of confidence. With the National Poetry Foundation, teachers and bloggers all cheering Yes, poetry matters! so insistently that everyone suspects it doesn’t, a person several rungs down the poetry ladder, a person who doesn’t write poetry but writes about poetry, and not even writing about poetry for an academic audience who might possibly care but for a general audience who doesn’t, that person might feel a little sorry for herself. 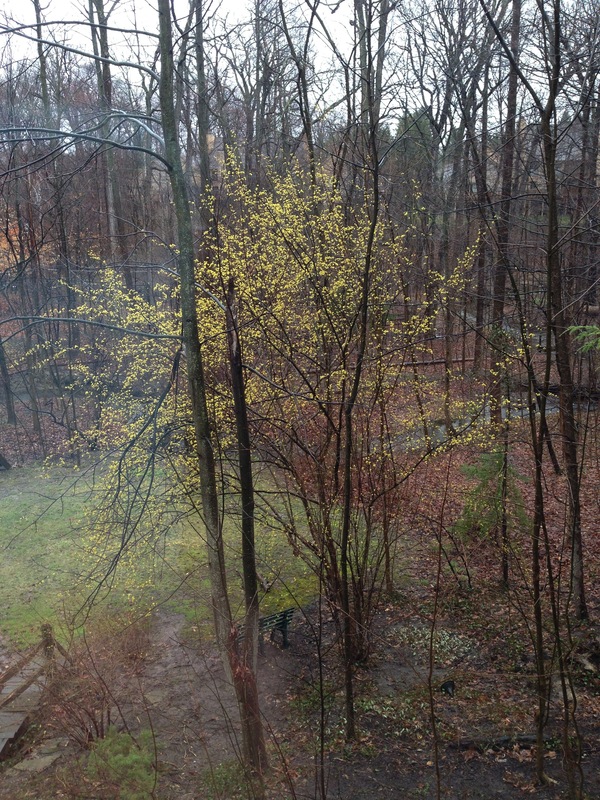 It’s been a rotten April in Michigan, wet, cold and today actually snowing on the just-blossoming forsythia. The month began badly with a gratuitously cruel op-ed in the Wall Street Journal about the irrelevance of contemporary poetry. Essayist Joseph Epstein, perhaps trying to reprise the uproar he caused twenty-five years ago with his essay “Who Killed Poetry,” wrote a follow-up piece on April Fool’s Day called “The Poetic Justice of April 1.” Epstein writes that although he loves poetry, old poetry that is, poetry that’s already in the canon, poetry that’s been blessed by Harold Bloom I suppose, he finds more recent poetry worthy only of his considered contempt. He writes, “the biggest fools of all may well be those who believe that contemporary poetry matters in the least except to those who, against a high barbed-wire wall of national indifference, continue solemnly to churn it out.” Judging from the meager number of comments the essay generated, folks were just as indifferent to his rant. And here’s another thing, Joseph Epstein. This month my daughter sent me two poems given to her by two different young men, both graduating college seniors. Granted the poems don’t exactly disprove Epstein’s thesis—one poem is actually a lyric and the other is by Emily Dickinson—but the fact that two guys cared enough about a poem to share it suggests that our yearning for meaning will always keep poetry, old or new, relevant. And you gotta make it where? I don’t understand the comma after soul soaked in but I love the incredulity of the question that follows: And you gotta make it where? The idea that the American dream is a deadly virus passed from father to son is a powerful one. For a college kid who doesn’t want to spend life in a cubicle, this poem is a rallying cry. Here are two guys, neither one an English major or aspiring writer, finding solace and satisfaction in poetry. Both found poems that speak directly to their life decisions, their philosophies, and their dreams. How do you get more relevant than that? All of which is a timely reminder of why I keep writing this blog. This is my fantasy: waiting at the train station or rushing through the grocery store, someone chances upon a poem I’ve left behind, reads it, thinks about it, and steps back from the frantic surface of life long enough to discover the poem’s relevance, which was there all along, hidden among all the irrelevant things we call important. 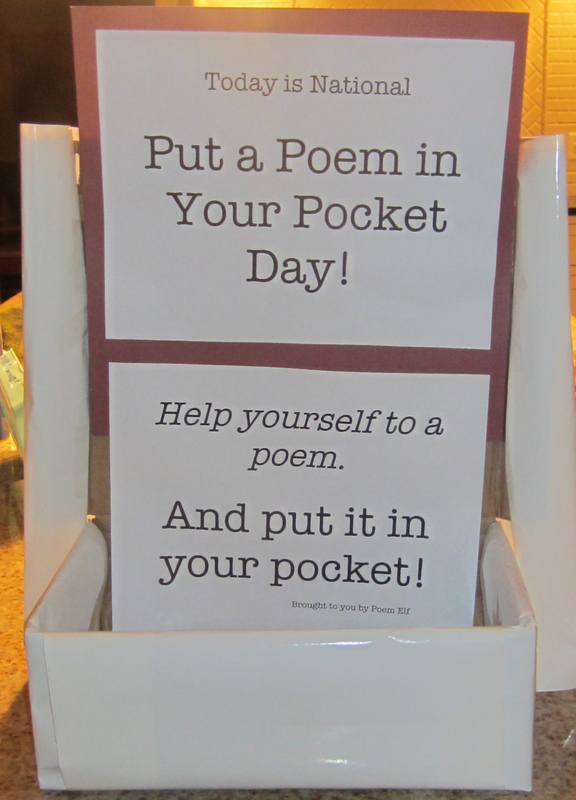 National Poem in Your Pocket Day is a good day to be a poem elf. So many pockets to fill, so many poems to share. Why is everything I do slightly askew? Last year I set up my very first take-a-poem box at the post office. I saved the box to use again, but when I pulled it out of the basement, I understood why a certain person who lives with me often complains I hoard junk. The display was sad: lopsided, stained with copper-colored splotches of unknown origin, and housing a few dead potato bugs. So I made a new one and placed it in my new favorite writing spot, Great Lakes Coffee. 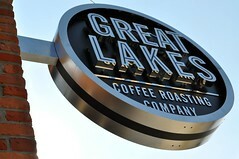 Great Lakes Coffee is a Michigan chain that lives up to its name. 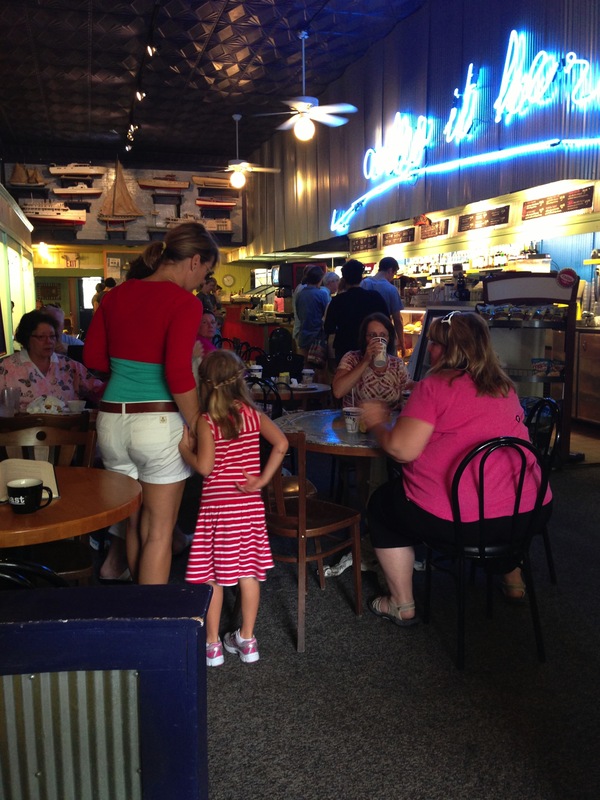 Everything about this place is indeed great—the teas, the service, the staff, the atmosphere, the décor, and from what I hear from other customers, the coffee. I didn’t take pictures of all the poems I put in the box. There were too many, including poems by James Tate, Robert Frost, Ruth Stone, Lord Byron, Samuel Taylor Coleridge, Elizabeth Barrett Browning, W.S. Merwin, Yusef Komunyakaa, Eavan Boland, and my Scottish friend Angus Martin, among others. 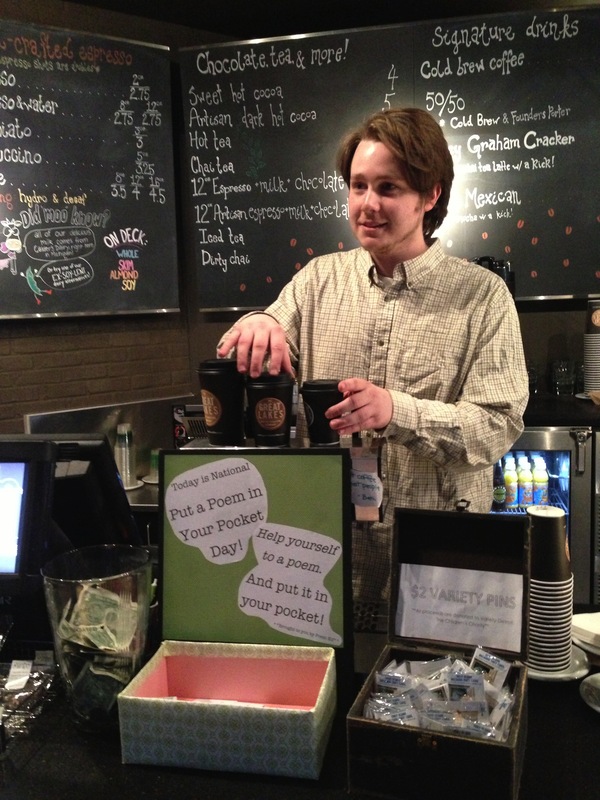 If you live in the area, stop by Great Lakes Coffee today and pick up a poem. Or link here to find poems, suggestions, videos, and for those anxious souls who really need it, detailed instructions on how to put a Poem in Your Pocket. Many thanks to the folks at GLC for displaying my box. For these trees without leaves? Left on the laundry line? What do you know about dark clouds? Ponds full of fallen leaves? Old model cars rusting in a driveway? To look at the beer can in a ditch? The white cross by the side of the road? The swing set in the widow’s yard? And carrying on like a crow? Picture the perspiring poet, hauled into the station, harassed in a room with all the set pieces of interrogation: the wooden chair, the two-way window, the bare light bulb swinging overhead. A hairy-knuckled detective waves a crumpled poem in his face and with each question pokes the poet’s poetically soft chest. 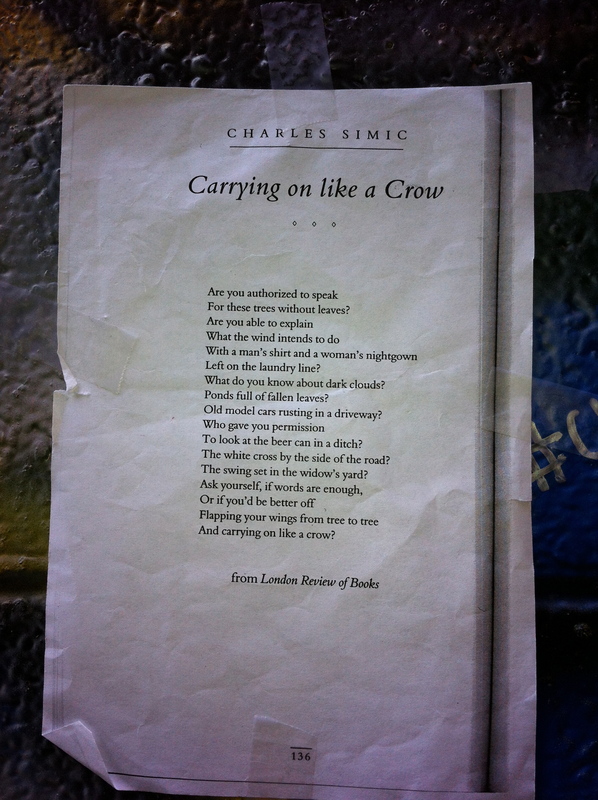 In Charles Simic’s poem “Carrying On Like a Crow,” such an absurd interrogation is as amusing as it is surreal. 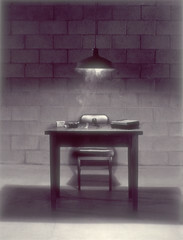 But today is the twelfth annual international PEN Day of the Imprisoned Writer. In such a context the poem is almost realistic and certainly less funny than it first appears. The interrogator, let’s calls him Sergeant, narrates the poem, and his questions structure it. But even though the speaker is singular, the poem is split into two voices. The authoritarian voice challenges and berates the poet’s right to write. Who gives you permission? What right do you have? What do you know about anything? Like any other skilled bully, Sergeant finishes with an insult, comparing the poet’s words with the useless, annoying caws of a crow. Each of Sergeant’s questions is partnered with an image, and these images form the poem’s second voice, the poet’s voice. This half of the poem re-creates a poem that the poet has already written. The images from this poem speak of decay and loss: dark clouds, fallen leaves, rusty cars, scattered trash. A man has died, his shirt still on the line, whipped by a harsh wind. On the side of the road is a marker of his accident or perhaps is his grave itself. A widow remains. Her nightgown on the clothesline is a reminder that her bed is half-empty, the unused swingset a sign that children have grown and gone. Above this bleak scene of rural poverty, a solitary crow, unlovely and unsympathetic, yammers on, a dark omen. The gulf between the two voices is wide: one, direct, angry, legalistic; the other alluding, mournful, imagistic. Simic achieves a sly irony when the disapproving Sergeant repeats the poet’s words in his questions and unwittingly creates his own poem. Who is this interrogator anyway? Simic grew up under fascist and then communist dictatorship, so overtones of governmental hostility to and disrespect for writers are not accidental. But the voice could also belong to private citizens. Family or friends of the writer might not wish their lives to be used as writing fodder. Who gives you permission, they ask, to speak about my experiences? Then again, the prosecuting voice could be the writer’s own, an inner critic who challenges, Who do you think you are? What qualifications do you have? Your work is stupid. Reminds me of a time when I was a young teen, and on a dare (and a misguided notion of what was humorous), went to the grocery story dressed as a bunny. I wore footed purple pajamas, bunny ears and my own naturally bucked-teeth. I hopped around the produce section and assaulted customers with a bad knock-knock joke. The punch line was “Ether bunny!” A woman stopped me and said, “Do you think you’re funny? You are not funny.” I left immediately, feeling shame such as only a buck-toothed teenager dressed as a bunny in the grocery store can feel. All my life I hear her disgust when I write. You are not funny. Surely everyone wrestles with defeating voices, regardless of one’s pursuits, which is why Simic’s poem speaks to everyone, writers and non-writers alike. I left the poem in Graffiti Alley in Ann Arbor near the university. 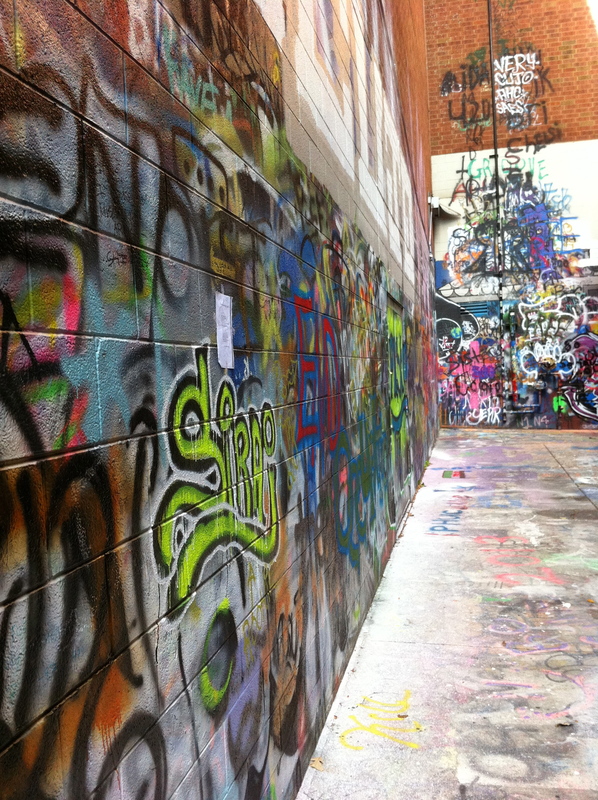 At one time Graffiti Alley was the exclusive canvas of one artist, Katherine Cost, but after a few years the space was taken over by graffiti artists (or should I call them, per a recent episode of Project Runway All-Stars, “aerosol artists”?) Cost was gracious about the destruction of her 5-month mural project: “The thing about public art is it is an exercise in letting go,” she said. “You put it out there and you know it is not forever.” Although none of the graffiti I saw was particularly meaningful or interesting, the democratic spirit of the place—the idea that everyone has a right to express themselves—seemed like a good antidote to the authoritarian voice in the poem. 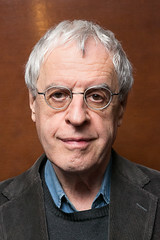 Charles Simic was born in Yugoslavia in 1938. During WWII, his family was evacuated from place to place to escape bombing. “My travel agents were Hitler and Stalin,” he jokes. His father left to find work in Italy and was imprisoned instead. After the war Simic and his mother and brother were briefly imprisoned by Communist authorities. Eventually they were able to leave Yugoslavia for Paris, then New York, where the family was reunited with Simic’s father after ten years. Simic took night classes in Chicago and then moved to New York where he worked a number of odd jobs. He served in the army in the early sixties, and arriving back in New York, earned a degree from New York University. Simic has taught at the University of New Hampshire for nearly forty years. He was named the Poet Laureate of the United States in 2007, won the Pulitzer Prize, and received a MacArthur Genius Grant, and remains one of our most popular American poets with readers and critics alike. Quite a feat for a poet who didn’t speak English till he was fifteen. I had dinner the other night with an Englishman who couldn’t grasp the idea of blogging. How do you make money? he asked me, and when I told him the blog doesn’t pay, he offered several suggestions to spruce up my “business” and start bringing in the big bucks. If ever there was a clean well-lighted place for writing, Jolly’s is the real deal. And it’s in Hemingway country to boot. Gracious, efficient, attentive, and somehow a little dreamy and soulful, she made my morning writing sessions a time I looked forward to. Hemingway would have written a story about her for sure.